Finally, the long wait is over, Amazon Go is now officially open to the public! Its ‘just walk out’ technology is said to be a game changer for the high street. After a year’s delay for rigorous testing, folks in Seattle have reveled at the opportunity to try out the world’s first fully automated brick-and-mortar store. No more queues… no more frustration as you hear “unexpected item in bagging area”… just open your Amazon App on your smart device, walk in and walk out with the items as you please. Sounds great, doesn’t it? Amazon Go has already received plenty of praise from press and public. So… what could this technology mean for the high street? Well, it could be the start of a major shift in retail for labor allocation and investments in technology. Not to worry though, retail workers should take comfort in how the store is operated. Bloomberg News reported that during a tour of the store about 10 workers were making salads, one was checking IDs to enter the wine section and more were stacking the shelves. Good news for retail workers concerned about the employment threat from automation. 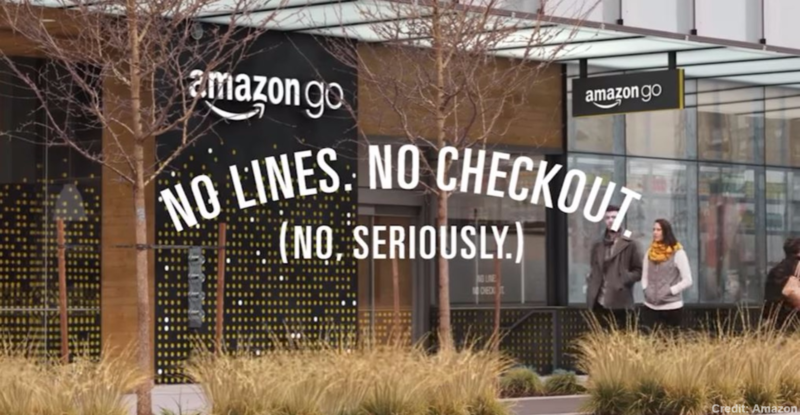 The official opening of Amazon’s checkout-less store has been delayed after its camera and sensor technology can’t cope with more than 20 people inside the store at any given time. Amazon Go uses machine learning and cameras to detect which items a customer has picked up and when they leave the store it is automatically charged to their Amazon account. Individuals are identified through the Amazon Go app on their smartphone, movements, and interactions with products are tracked with cameras throughout the store. However, this technology is not quite ready for the high-streets just yet, as during beta testing the shop is struggling to keep track of more than 20 people. According to WSJ, from an unnamed source, the automated system gets confused “if an item has been moved from its specific spot on the shelf.” It works when there are few people in the store and their movements are slow. However, with most brick and motor retail stores, you would expect some customers to pick up items before going somewhere else which could break the system out as they may move too fast. Amazon did plan to open their stores to the public early 2017 but it looks like we may have to wait a little longer for a checkout-less retail experience. Until then employees of the company will be serving as beta testers to ensure the store does not go haywire. At this time of the year, any traditional retail store will likely have queues of customers lining up to the checkouts, which can seem frustrating especially if you’re in a rush. What if there was a way to pick the products you want and walk out of the store, paying for the item with no checkout and no queuing. Well, this is exactly the concept that Amazon has developed and it could well be a real game changer for retailers. 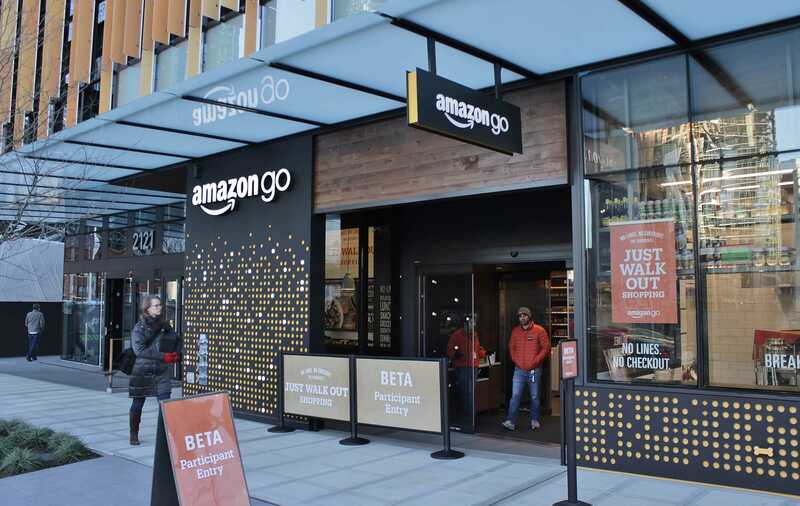 Amazon has created a new retail experience, named Amazon Go, its first store opened close to their headquarters in Seattle, US on 5th December. It is currently being used by Amazon employees and will be open to the public early next year. Meanwhile, in the UK Amazon Go has recently registered a trademark indicating that they have plans to expand into Britain. Neil Campling, an analyst at Northern Trust Capital Markets, said: “Amazon wants to disrupt and take out inefficiencies from retail whatever the format. 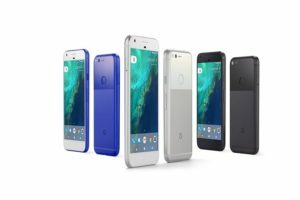 We’ve seen Amazon try out pretty much every one of its ideas from the US in the UK and I wouldn’t be surprised if next year we see the launch of a very similar service.” It is a possibility that Amazon has chosen to expand into the UK market as British consumers are open to change, proven within online shopping. Experts are debating the impact of such automated shopping experiences in the UK’s retail industry. Even before Amazon Go launched the British Retail Consortium predicted that the UK retail sector could see 900,000 job losses in the next decade as the ‘rate of change’ increases. If Amazon Go catches on in the UK it could have a negative impact on employment as more retailers will be forced to match its convenience. However, a new survey by YouGov asked the public if Amazon Go would solve more problems than it introduces and the majority of respondents disagreed. 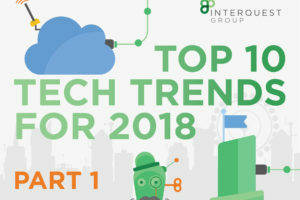 In a report from Deloitte, they found technology has created more jobs than it has destroyed in the last 144 years. While manual labor driven jobs have been largely substituted by technologies, key non-routine cognitive roles have seen a 365% rise since 1992. These roles will be needed to develop Amazon Go stores such as telecom experts to implement the sensors and connectivity services while data analysists will have to handle all the data collected by the sensors. This could truly be a game changer in terms of retailers adopting automation to place convenience above all else. Amazon will need to convince consumers to trust the reliability and convenience of its technology even if there is a potential loss of labor-intensive jobs. We will have to wait until next year, and some years to follow, to find out the real impact of this technology. 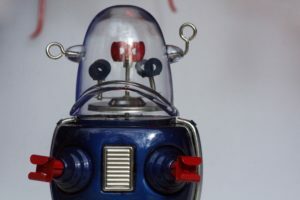 Will Automation Cause Mass Unemployment?